sewtakeahike: all mixed up and a retreat! all mixed up and a retreat! I did it. I started cutting this quilt last weekend, and this weekend, finished sewing the top together. I'm calling it it "all mixed up". The pattern is well written, and although it requires a LOT of cutting, the results are well worth it. I'm putting this baby in the closet for a bit before I make the backing and quilt it. I was on a mission to get it sewn together and off my sewing room floor as quickly as possible since my cat was loving pushing the envelope with me by peeling out on it, making all those little pieces fly. I can now breathe. I'm a little nervous about this next thing I want to tell you. You remember this retreat with AmandaJean last fall? Well, she is unable to come and do the spring retreat, so Tara at the Inn at City Park, here in Fort Collins, has asked me to do it! 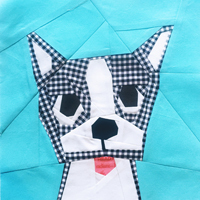 I'm going to be teaching on improv and paper piecing: beginning and advanced block design and construction. Here's the info for it and I'd love to see you there! Join us for a weekend of creative sewing with Penny Layman of sewtakeahike! And lastly, make sure and check out Amylouwho's blog if you're interested in a giveaway for one of my footstool pincushion kits, here! Happy Monday! Love the quilt...sew very pretty. Congratulations on being asked to teach at the retreat. What an honor and a blessing! YOU are a fine choice for the April weekend! I wish I could go. I know I could learn a lot from you. I always do. Love your quilt! as for the retreat a little too far to travel but if you're ever over this side of the pond.. drop in! awesome! I think you will be great. :) And very fun quilt top, love that pattern. what a great quilt! so many wonderful prints! Well, Penny, you've come a long way in a short time. I'm sure it doesn't seem to short to you, but you've really stretched and grown. The top is out of this world and congrats on the leadership role. You'll do great. Dang it! I wished I lived closer!!! I would totally come. Let's plan our own beach sewing retreat at my house. I'm so excited for you - you will be awesome!!! Very cute little quilt top! Congrats on the class. You're going to have fun, I'm sure! love the quilt and how exciting to be teaching a class at a retreat! you'll do great and have fun too! YEAH for you!! They will have such a treat having you as an instructor. 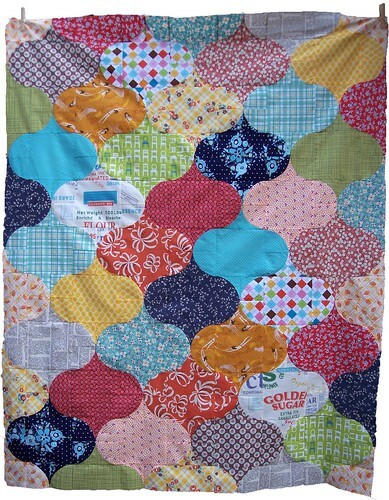 Love love that quilt, the fabrics are so fun. Love the colors and the curves! How did you ever get them flat? Ooooh, how exciting Penny -- I know you'll do a great job and probably have a fantastic time!!! I can't even tell you how much I love this quilt. The shapes, the colors... it all works so very well, though I can't put a finger on what exactly makes it work. It is lovely! 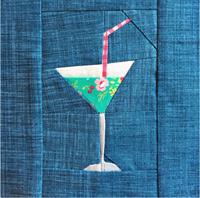 The quilt is fantastic and I'm sure your retreat will be, too! I LOVE retreating. You will be great! You are a perfect choice for the improv. As I said at my house, your process is facinating and so different from mine! i so wish i could come and learn from you at your class! that would be a treat. i love LOVE love your quilt top. it's amazing! anyway, all my best wishes to you for this gig, i am sure you will be a wonderful, inspiring teacher!! Penny you will do great! I would love to attend a retreat with you! It's a bit far though. ;) But you can come and join us in NOLA for our retreat if you want. lol. Beautiful quilt!! I hope your teaching goes well. i'm so excited that you are teaching this workshop. i've never been to one of these before. last night i talked with my hubby about it. he decided that this quilty workshop was the equivalent of him, sitting in the dugout, at Cubs playoff game. sounds like a fair comparison to me :) i can't wait for April!! !